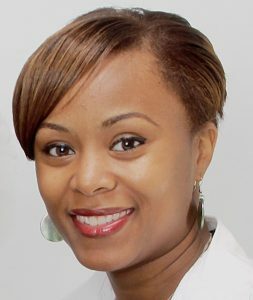 Alumna Rodina Williams, ’02 ’10, an epidemiologist with the Cook County Department of Public Health will address the STEM Social. The fifth annual Charles Morris STEM Social will be from 7-8:30 p.m. Wednesday, October 24, in the Jaime Escalante Conference Room, Vrooman 103, East Campus. The event is open to students majoring in STEM fields (science, technology, engineering, and mathematics), and those interested in STEM majors. The fair aims to educate students about majors in the STEM fields. The event will include networking with faculty from STEM departments and meeting with successful students from underrepresented backgrounds. The evening will also include round table discussions allowing students the chance to explore a discipline. The keynote speaker will be Illinois State alumna Rodina Williams, an epidemiologist with the Cook County Department of Public Health. Williams earned two bachelor’s degrees from Illinois State, one in exercise science in 2002, and one in medical laboratory science in 2010. Named after Associate Professor of Math and Vice President Emeritus of Administrative Services Charles Morris, the event is sponsored by University Housing, Department of Chemistry, University College (Louis Stokes Alliance for Minority Participation), the Career Center, the School of Biological Sciences, the Department of Mathematics, and Diversity Advocacy (through the Dean of Students Office). Winners of the Charles Morris STEM Scholarships will also be announced at the STEM Social. Funded by the Educational Equity Endowment Fund, the scholarship is aimed at increasing the participation rates of students from underrepresented groups pursuing degrees in science technology, engineering or mathematics (STEM). Two scholarships will be announced at the social. The application deadline is Monday, October 15. Access the application. For additional information on the social, contact Professor Lisa Szczepura (309) 438-2359.